Angela Walters, the ‘“Midnight Quilter,” speaks to a packed house at the Table Rock Quilt Guild’s fundraiser on Saturday, March 16. The Hawaiian themed event raised money for the Kimberling Area Library. Walters learned to quilt several years ago and rose to fame with her blog, “Quilting is my therapy” and the “Midnight Quilter” YouTube series. 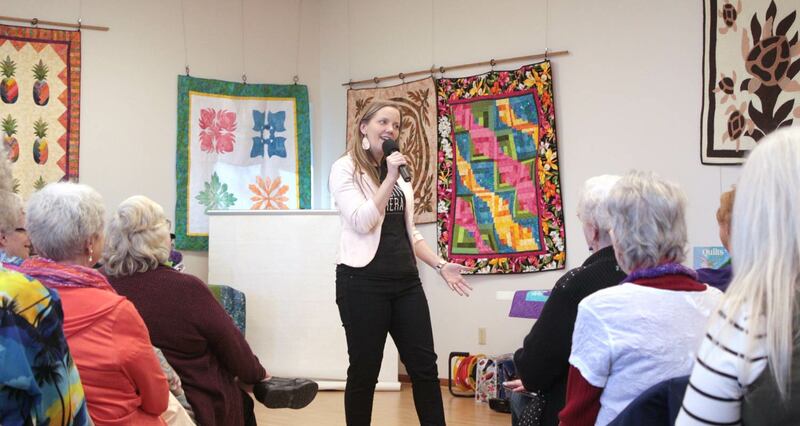 She spoke to the crowd about their shared love of quilting.